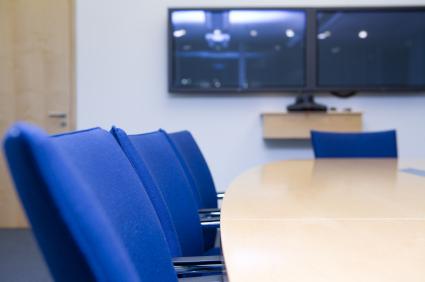 Videoconferencing is something that has evolved greatly over the years. Once an expensive and proprietary communications medium, it has become an important tool for connecting people from different locations. When I first got into this industry in the late 1990’s, the landscape was completely different. Videoconference systems were connecting primarily over ISDN. Today a lot has changed. Most calls are made over IP networks due to increased bandwidth and lower cost brought about by the accessibility of these networks. ISDN is a Circuit Switched Digital link. To gain a broader understanding of it, it helps to know a bit about where it came from. In the early days of the internet, you basically had two ways to connect your computer (or network) to the internet. You could connect either via dialup using a modem, or through a digital ISDN line. This is not to say that ISDN is a legacy protocol, it still has some use today but its use has been eclipsed by other technologies. There are some advantages with ISDN over other connections, the main one being a point to point connection with guaranteed bandwidth. Although the bandwidth available with each line is quite low in today’s world (128k per line) multiple lines can be used concurrently through a process known as bonding. Bonding happens behind the scenes, before your video call fully connects. Basically in a videoconference call your endpoint will establish a single line call to the other codec, then request additional lines it can dial in on. Most of the ISDN usage these days is centred around countries outside of North America where the data networks are not as reliable. One of the main advantages of using ISDN is that you don’t need to worry about firewalls and security restrictions. As long as you get the numbers configured correctly, you should be able to dial out and receive calls no problem. Unlike ISDN, H.323 IP based videoconferencing operates over an IP connection, which is a packet switched network. This means you don’t have a direct link between both sites. While SIP (Session Initiation Protocol) also operates over IP, it lacks the structured call control that H.323 provides, and has not been adopted widely in professional videoconferencing deployments. 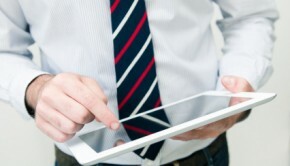 The differences between SIP and H.323 are outside the scope of this particular discussion. H.323 and H.320 both implement a structured framework for maintaining and delivering calls. A Gatekeeper, one of the optional components to an H.323 network can be used to manage routes and control bandwidth between endpoints. These are typically implemented on larger networks for better call control, management, and reliability. That concludes part 1 of this 2 part series on videoconferencing. If there is anything that you would like to see covered in future posts, please leave a comment below and let me know. 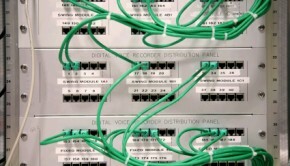 Going from ISDN to IP is kind of analogous to going from analog phones to a VoIP system. Depending on how many endpoints are in the system you may need to add some infrastructure products like gatekeepers, firewall traversal, etc. You also want to consider QoS on your network as IP videoconferencing depends on real time packet delivery end to end. If you are ISDN based now, you may need to look at hardware upgrades to support h.323 and/or sip technology and provide better bandwidth optimization. Most VC manufacturers can suggest a local integrator that can give you some options for an upgrade/transition path.